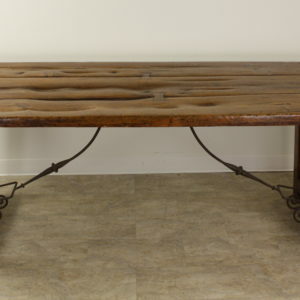 For a fabulous mountain vacation house, or for any country environment that is the best of the best, here is a choice table. 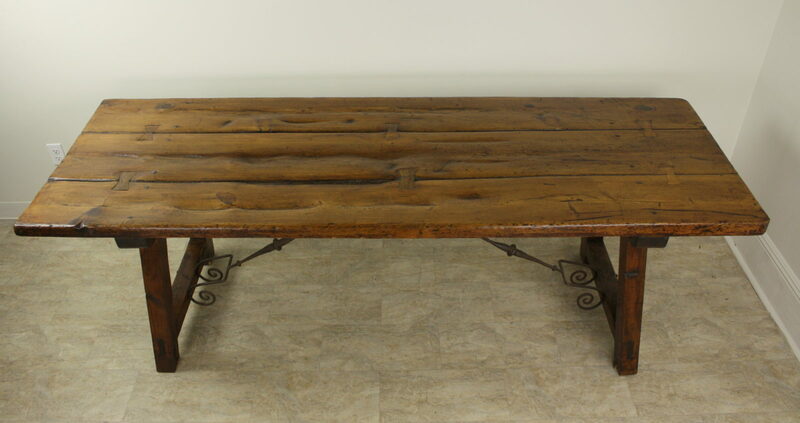 Very rustic, and has the look of the ages. 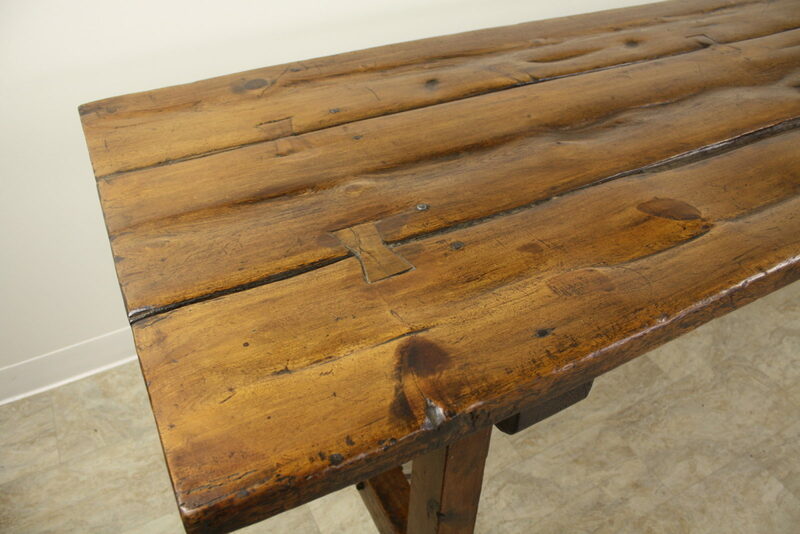 The top has been scrubbed repeatedly over the years, right through to the table joints. 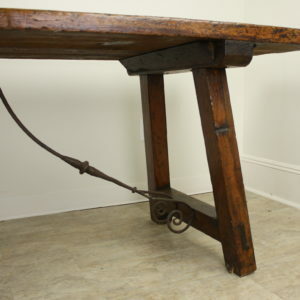 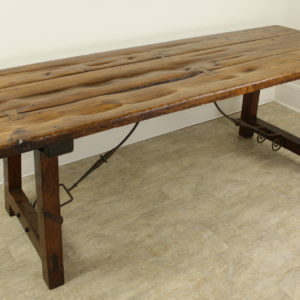 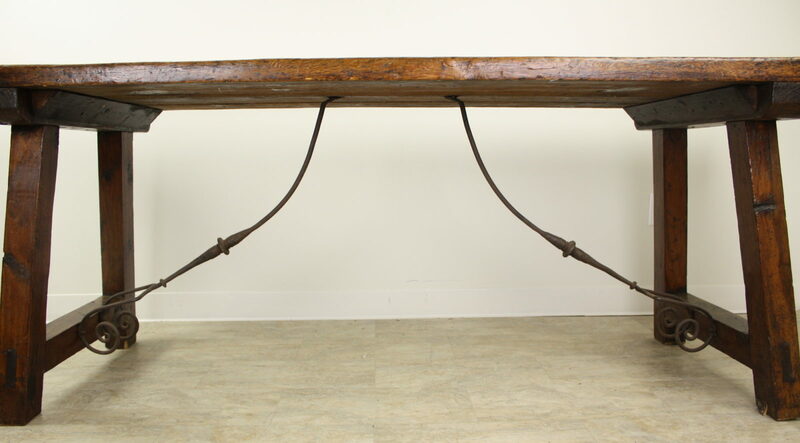 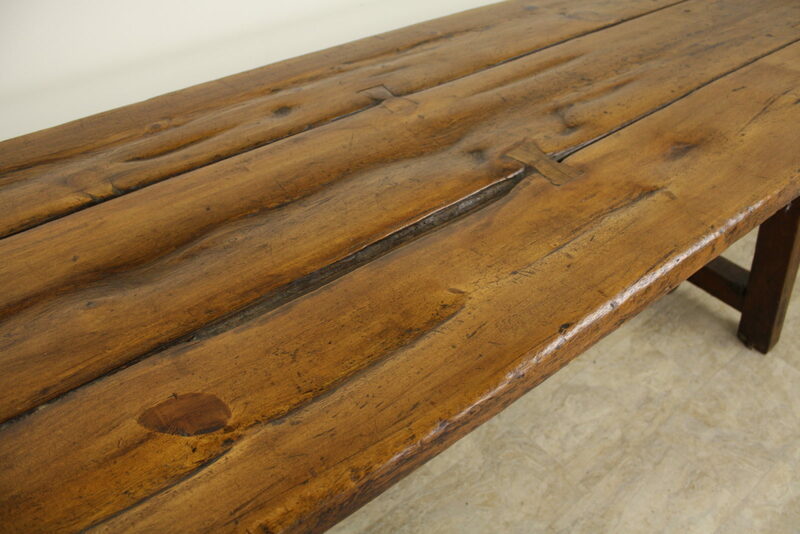 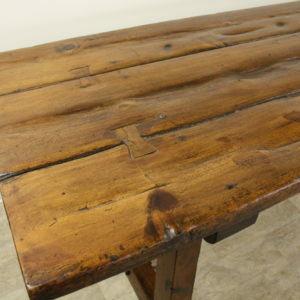 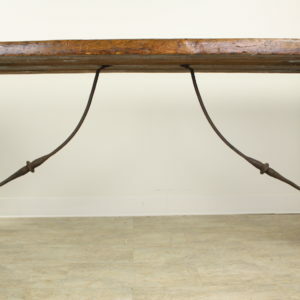 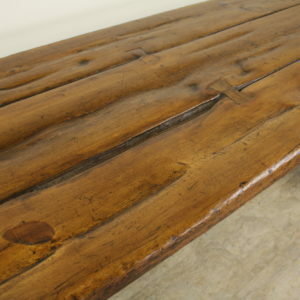 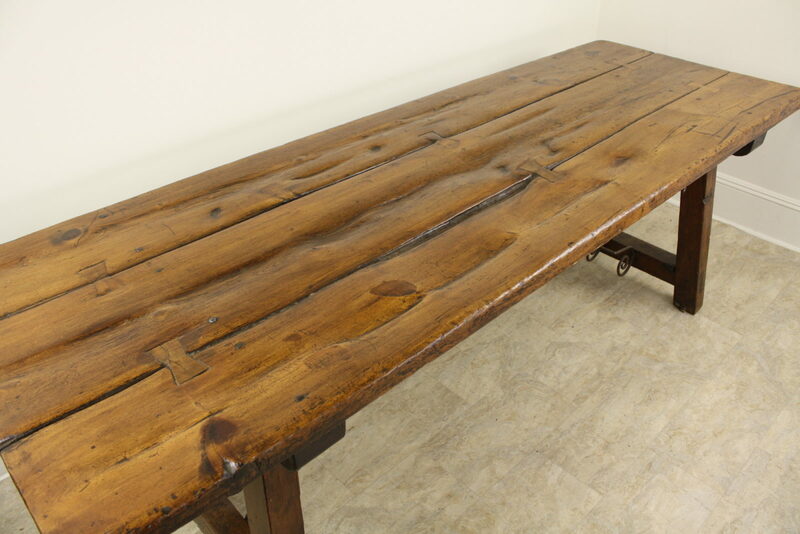 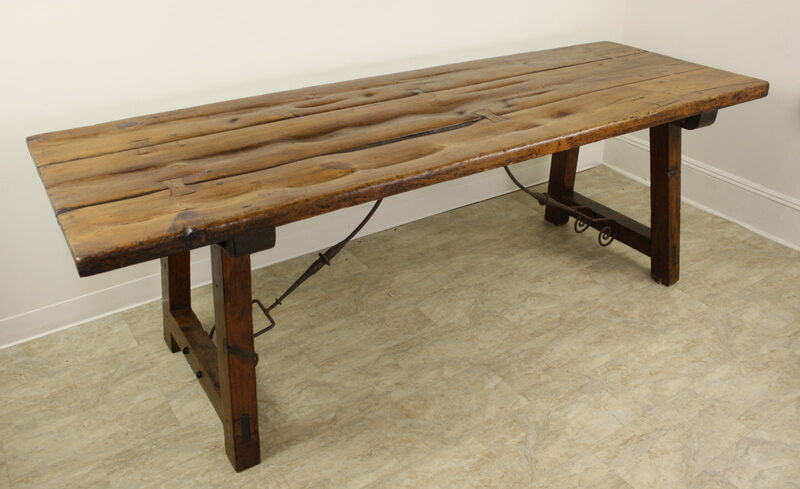 Butterfly joints have been used to rejoin planks, to create a unique table, and to our mind, this is a museum quality piece! 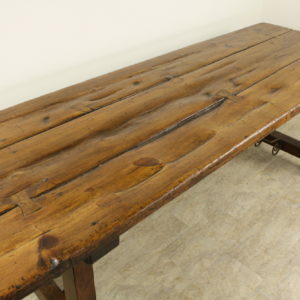 The color of the wood, the old planking, and the gorgeous patina are all exceptional. 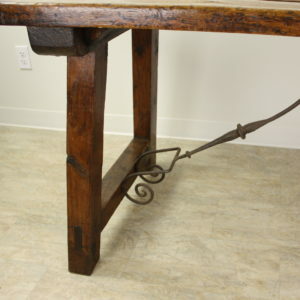 The top is very thick as is the base and the very decorative traditional iron supports are quite attractive. 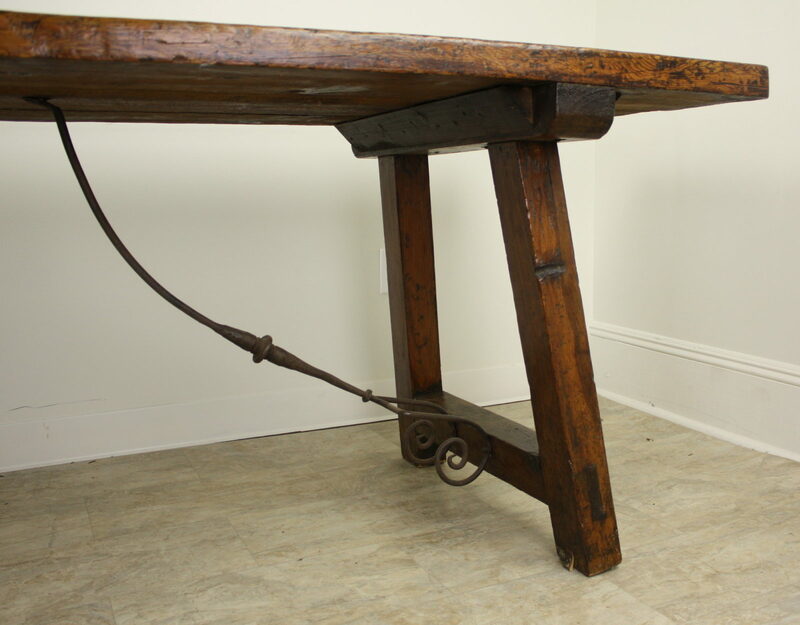 There are 62″ between the legs and with no apron, there is plenty of room for knees.